VersaCourt wants you to be a customer for life and we plan to achieve this by providing you the highest quality products and the industry’s best and most clear warranty. 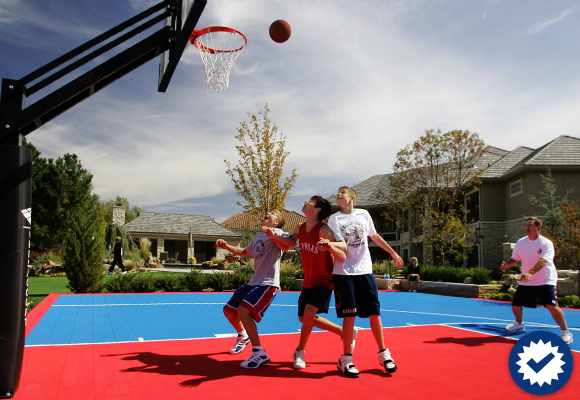 Our desire is that when you place your faith in us you will have a worry-free recreational surface for years to come. 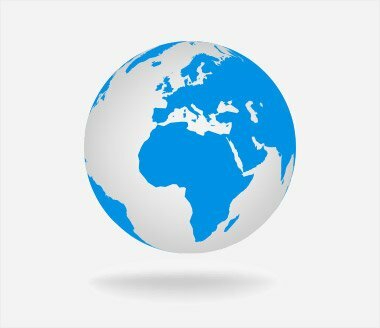 That’s why we have invested heavily in state-of-the-art injection molding equipment and control all aspects of manufacturing every tile we sell. Also, we have partnered with the best automotive additive suppliers to ensure our UV stabilizers and other proprietary additives will provide our products with the longest life possible. As an added benefit to our customers we’ve developed a multitude of warranty solutions to fit your needs. Please note that this does NOT cover damage caused by accident, improper installation or disassembly, improper care, negligence, abuse, abnormal wear and tear, fitness for use, acts of God, or any other cause not arising out of defects in material or workmanship of the components. Also, the replacement of tiles that VersaCourt is providing does not include covering the labor to complete the work. 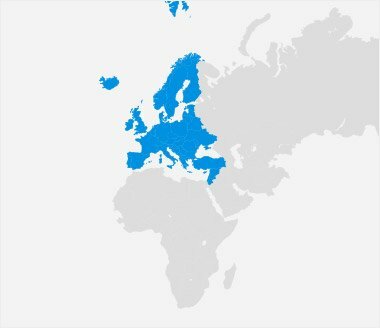 Shipping is paid for by VersaCourt in the first five years and covered by the customer after that. There doesn’t need to be a manufacturing defect (or any other reason) for exchanging your court. 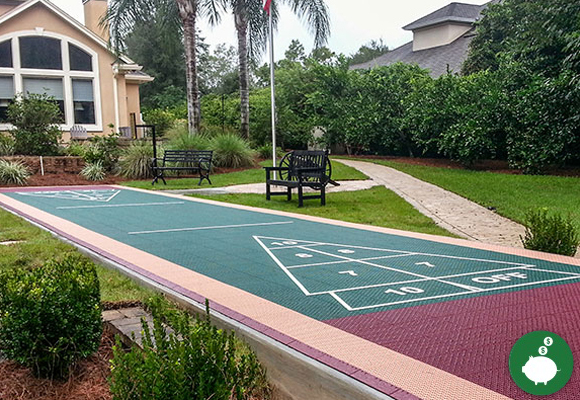 If you decide you want a new court we’ll offer 40% off MSRP in Years 0-8 (tile only), and 30% off MSRP after the 8-year window has passed, for the life of the court. VersaCourt will gladly price match any competitor’s price when you send us their quote. Competitor’s tile quoted must be similar in quality to VersaCourt tile. 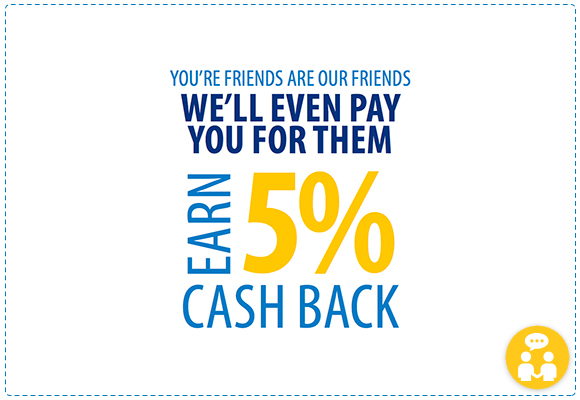 Refer our product to a friend and we will show our thanks by sending you a check for 5% of your friend’s tile purchase retail amount. Sometimes we learn by trial and error. If you have buyer’s remorse and decide VersaCourt is right for you, then it’s not too late. 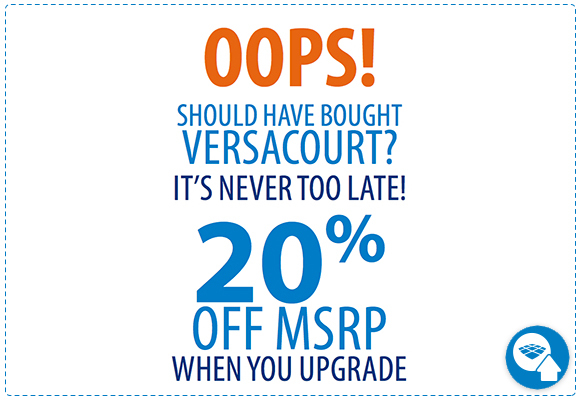 For existing game court owners (any other manufacturer), upgrade to VersaCourt for 20% off MSRP. 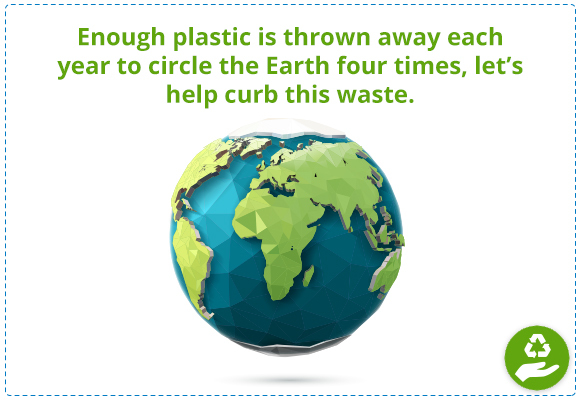 Find piece of mind in knowing that at the end of its life your VersaCourt doesn’t have to end up in our country’s landfills. 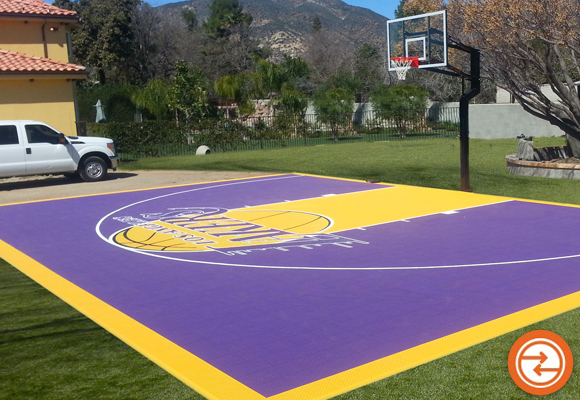 We’ll gladly accept it back and repurpose the court for other uses. We’ll even pay the shipping to get it back to us. BECAUSE WE ARE PROVIDING THE WARRANTY DESCRIBED ABOVE, VERSACOURT DISCLAIMS ALL OTHER WARRANTIES OF ANY KIND, EXPRESSED OR IMPLIED, IN FACT OR IN LAW, INCLUDING BUT NOT LIMITED TO IMPLIED WARRANTIES FOR MERCHANTABILITY OR FITNESS FOR A PARTICULAR PURPOSE. OUR WARRANTY IS LIMITED TO REMEDIES OF REPLACEMENT, WHICH SHALL CONSTITUTE THE EXCLUSIVE REMEDY AVAILABLE UNDER OUR WARRANTIES, AND ALL OTHER REMEDIES OR RESOURCES WHICH MIGHT OTHERWISE BE AVAILABLE ARE HEREBY WAIVED BY THE BUYER. VERSACOURT WILL HAVE NO OTHER OBLIGATIONS OR LIABILITY FOR DAMAGES ARISING OUT OF, OR IN CONNECTION WITH, THE USE OR PERFORMANCE OF THE PRODUCT INCLUDING BUT WITHOUT LIMITATION FOR PERSONAL INJURY OR ECONOMIC LOSSES. TO THE MAXIMUM EXTENT PERMITTED BY LAW, VERSACOURT IS NOT RESPONSIBLE FOR ANY DIRECT, SPECIAL, INCIDENTAL, OR CONSEQUENTIAL DAMAGES RESULTING FROM ANY BREACH OF WARRANTY OR UNDER ANY OTHER LEGAL THEORY. THE REPLACEMENT OF PARTS IS VALID AS LONG AS THE CURRENT MOLD DESIGN IS ACTIVE AND IN USE. MSRP SHALL MEAN AS OF THE DATE ON WHICH ANY WARRANTY CLAIM IS FILED WITH VERSACOURT. Some states (or jurisdictions) do not allow the exclusion or limitation of incidental or consequential damages, so the above limitations or exclusions may not apply to you. Discounts and cash back offers cannot be combined with each other or any other available offers. Call VersaCourt at 800-540-4899, or write warranty@versacourt.com for verification of your warranty and instructions. You will be requested to send a sample of one full tile and/or photograph of the entire surface that is believed to be defective. You may be requested to send one tile of each color. The claim will be promptly resolved either by replacement or a written explanation for the denial of the claim. VersaCourt may request that all or part of the defective items be returned to the plant. Costs are the responsibility of the party identified in the warranty. 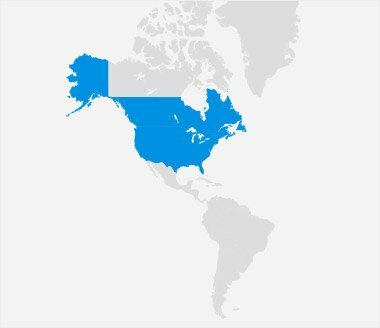 THESE LIMITED WARRANTIES GIVE YOU SPECIFIC LEGAL RIGHTS, AND YOU MAY ALSO HAVE OTHER RIGHTS, WHICH VARY FROM STATE TO STATE.